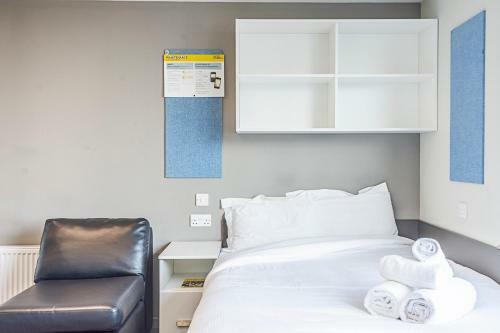 HomeUnited KingdomEnglandLondonStudio Apartments, STRATFORD - SK. 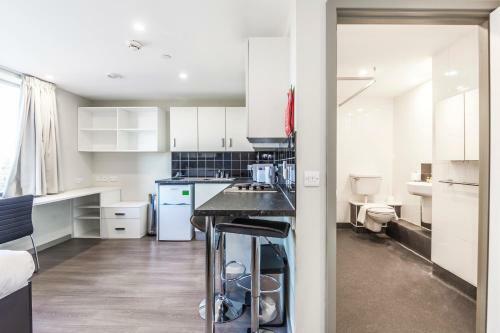 Studio Apartments, STRATFORD - SK. 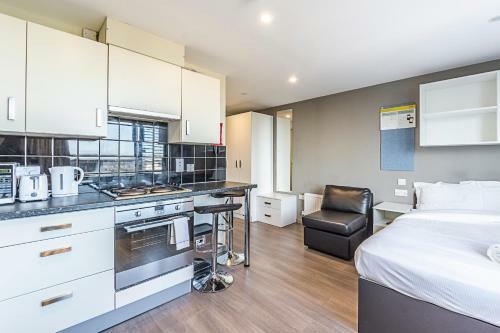 Studio Apartments, STRATFORD - SK. in London is an apartment building. 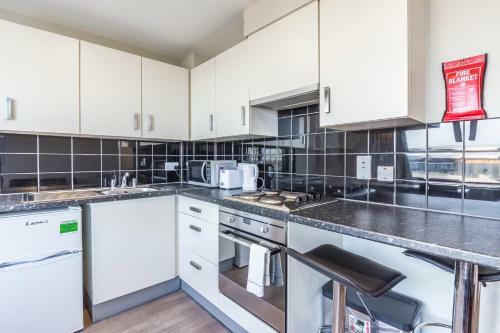 Situated within 2.7 km of Olympic Stadium in London, Studio Apartments, STRATFORD - SK. 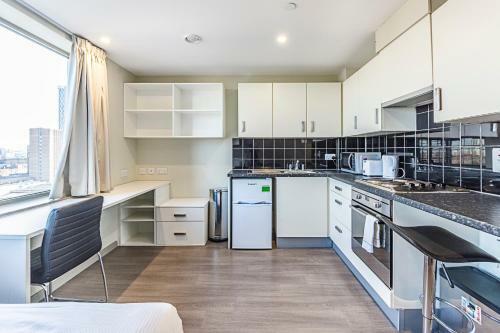 Provides accommodation with a kitchenette. 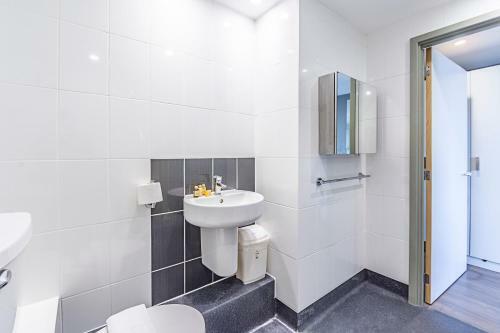 There is a fully eq...uipped private bathroom with shower and free toiletries. Victoria Park is 4.2 km from the apartment, while Brick Lane is 7 km away. London City Airport is 7 km from the property. 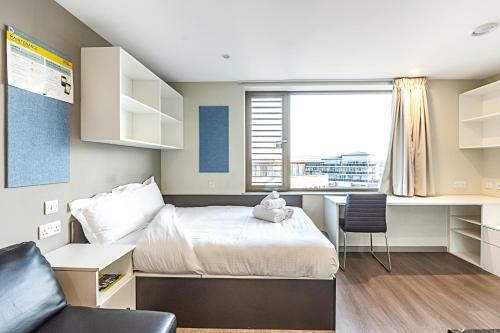 When would you like to stay at Studio Apartments, STRATFORD - SK.? 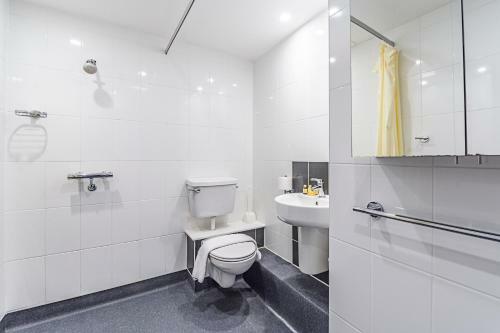 Facilities of Studio Apartments, STRATFORD - SK. Policies of Studio Apartments, STRATFORD - SK. This property will not accommodate hen, stag or similar parties. Guests are required to show a photo identification and credit card upon check-in. Please note that all Special Requests are subject to availability and additional charges may apply. A damage deposit of GBP 150 is required. The host charges this 7 days before arrival. This will be collected by credit card. You should be reimbursed within 14 days of check-out. Your deposit will be refunded in full via credit card, subject to an inspection of the property. Please note the lead guest must be 25 years and older. The credit or debit card used to make the booking and photo ID must be presented upon arrival. All guests must be present at check-in. A surcharge of GBP 40 - 60 applies for arrivals and departures outside check-in and check-out hours. All requests for late arrival are subject to confirmation from the property. If an agreed arrival time is delayed by more than 45 minutes an additional fee of GBP 20 will apply. The new arrival time will need to be subject to availability. Check-in is strictly between 15:00 and 18:00 on 25, 26 and 31 December, 1 January and Easter Sunday and Monday. For corporate bookings, a third-party form should be filled in and sent at least a day in advance. Please note there is no reception at the property. 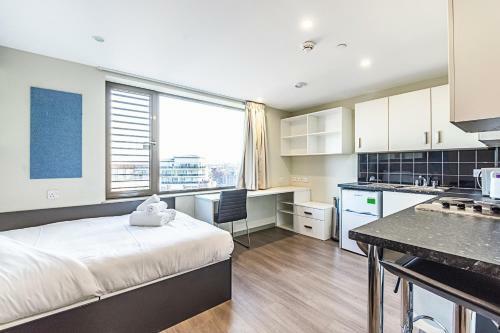 Address Studio Apartments, STRATFORD - SK. 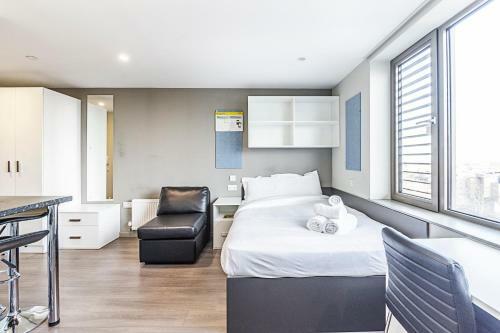 United KingdomEnglandLondonStudio Apartments, STRATFORD - SK.